Count Dracula is a vampire. He drinks people’s blood. He lives in a lonely castle in the mountains of Transylvania. 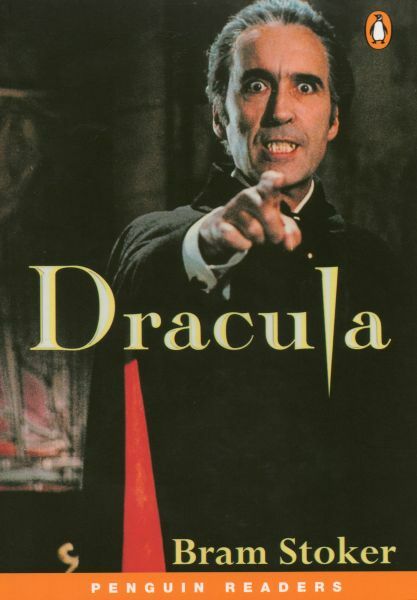 But then he comes to England… Professor Van Helsing knows about vampires, but can he stop Dracula ? He closed his eyes and began to feel sleepy. But, after a short time, he had a strange feeling that he was not alone. Three young women were watching him from the shadows, and they were talking in low voices. They moved out into the moonlight. He saw then, through half-open eyes, that they were very beautiful. When they laughed, the moonlight shone on long, white teeth. Suddently there was a loud noise. He opened his eyes and saw, by the side of his bed, a tall, black shape. It was the count. His face was as white as the death but his eyes burned like two small fires. « So what fun can we have tonight ? » one of the women asked. Je suis dans ma période « vampire ». Je ne pouvais passer à coté de ce grand classique de Bram Stoker ! Et en plus, en anglais !! !